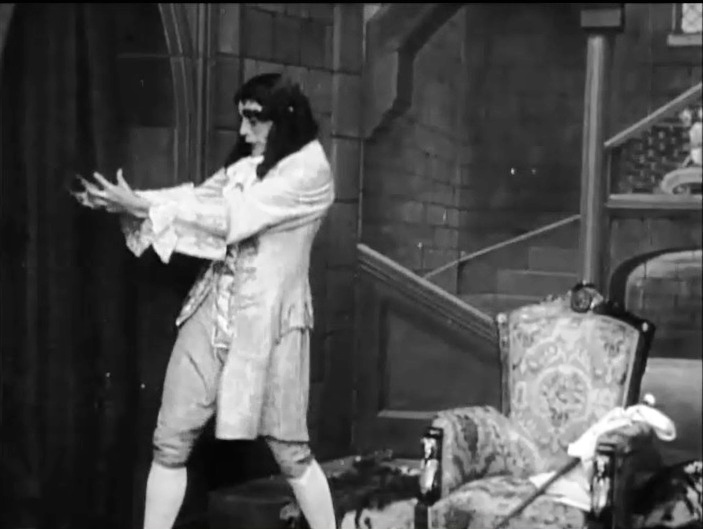 "The Sealed Room" is a short drama and horror film directed by D.W. Griffith. It is included in our program to illustrate the work of two of our stars: actor Arthur Johnson and cinematographer Billy Bitzer. 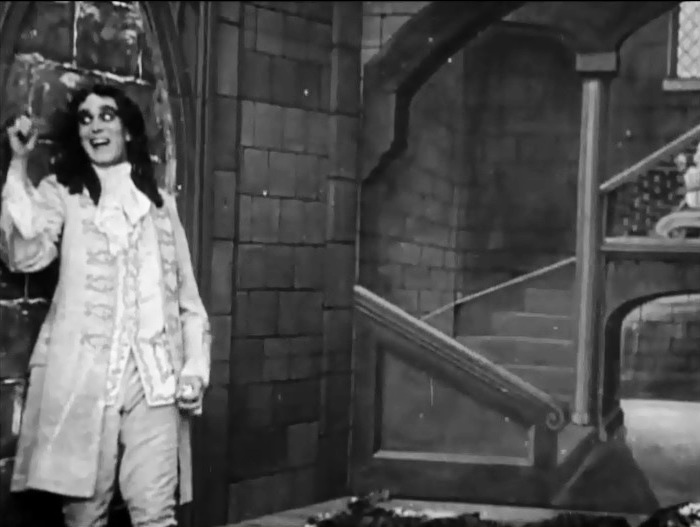 Different sites refer to works by either Honoré de Balzac or Edgar Allan Poe or both as the basis for the film's scenario. Arthur Johnson plays a king, who creates a special quiet room for himself and his love interest Marion Leonard. Eventually he discovers that she uses the room for dates with the court's musician Henry Walthall. Arthur Johnson is not pleased and decides to use the room for a different purpose. 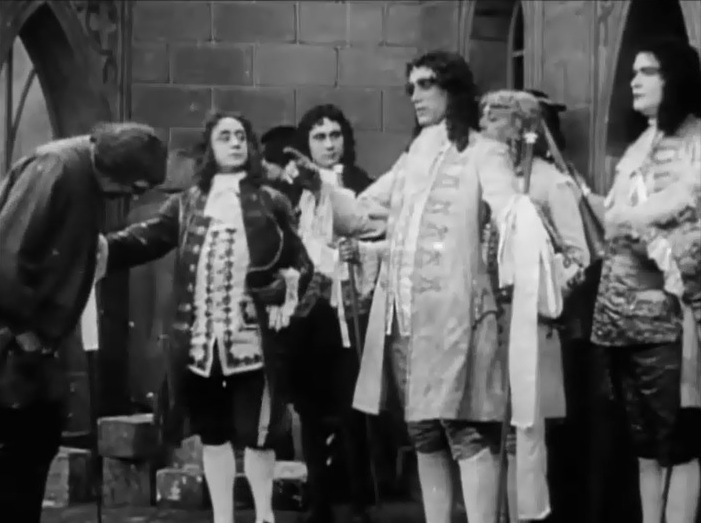 Arthur Johnson is the king giving orders to the troops in "The Sealed Room" (1909), directed by D. W. Griffith, cinematographer Billy Bitzer. 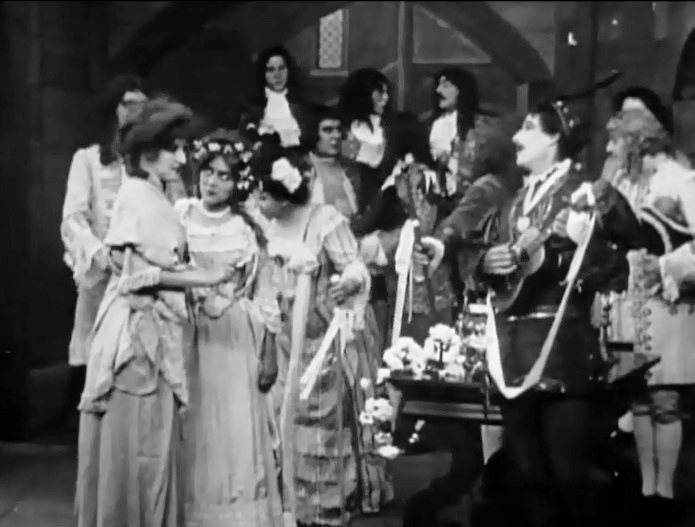 Arthur Johnson meets Marion Leonard as Henry Walthall plays the mandolin in "The Sealed Room" (1909), directed by D. W. Griffith, cinematographer Billy Bitzer. 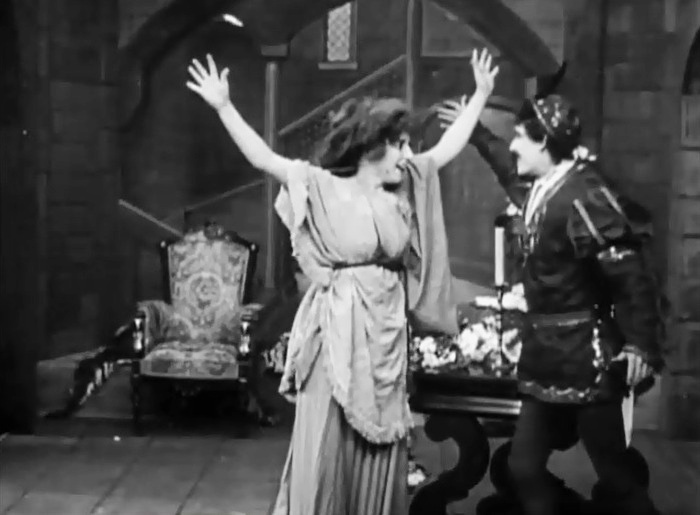 Marion Leonard exchanges glances with Henry Walthall behind Arthur Johnson's back in "The Sealed Room" (1909), directed by D. W. Griffith, cinematographer Billy Bitzer. 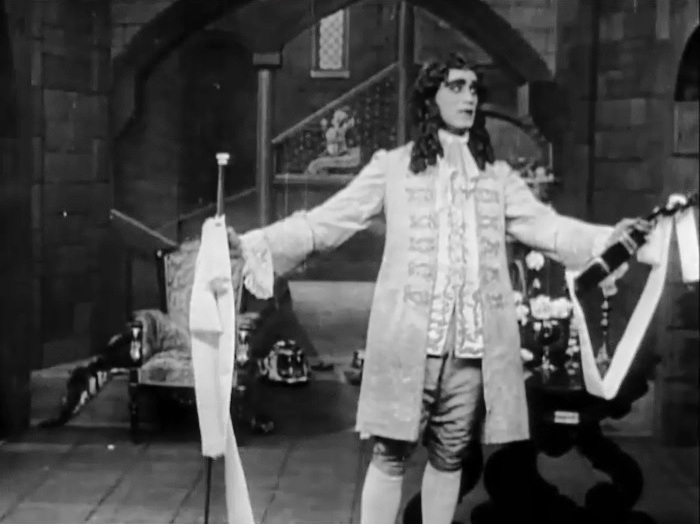 Arthur Johnson introduces Marion Leonard to the new room for two in "The Sealed Room" (1909), directed by D. W. Griffith, cinematographer Billy Bitzer. 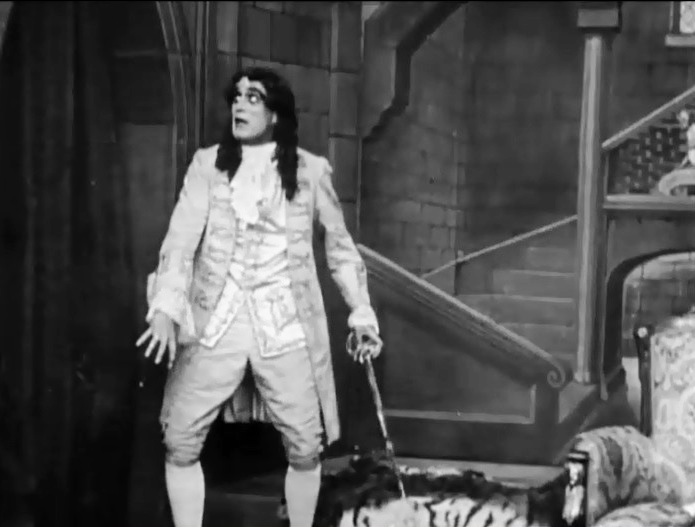 Arthur Johnson looks at Henry Walthall with suspicion as Marion Leonard suffers anxiously in "The Sealed Room" (1909), directed by D. W. Griffith, cinematographer Billy Bitzer. 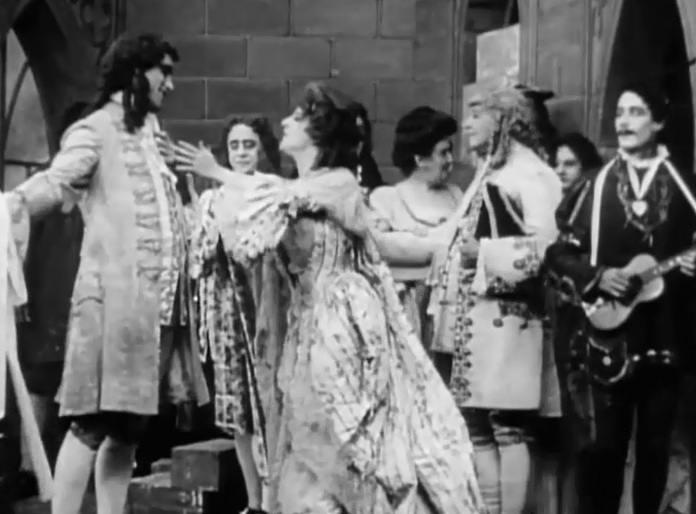 Marion Leonard confers with Mary Pickford as Henry Walthall plays the mandolin in "The Sealed Room" (1909), directed by D. W. Griffith, cinematographer Billy Bitzer. 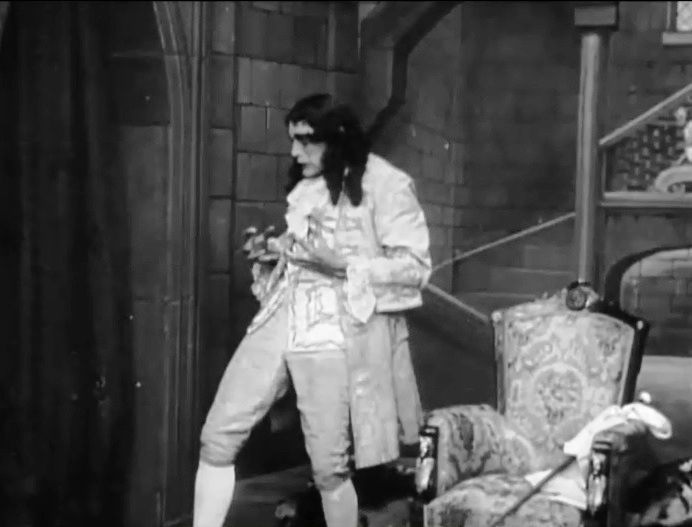 Arthur Johnson leaves Marion Leonard to meet the call of duty as Henry Walthall sees his chance in "The Sealed Room" (1909), directed by D. W. Griffith, cinematographer Billy Bitzer. Marion Leonard and Henry Walthall are finally alone together in "The Sealed Room" (1909), directed by D. W. Griffith, cinematographer Billy Bitzer. Arthur Johnson returns shortly and finds incriminating evidence in "The Sealed Room" (1909), directed by D. W. Griffith, cinematographer Billy Bitzer. 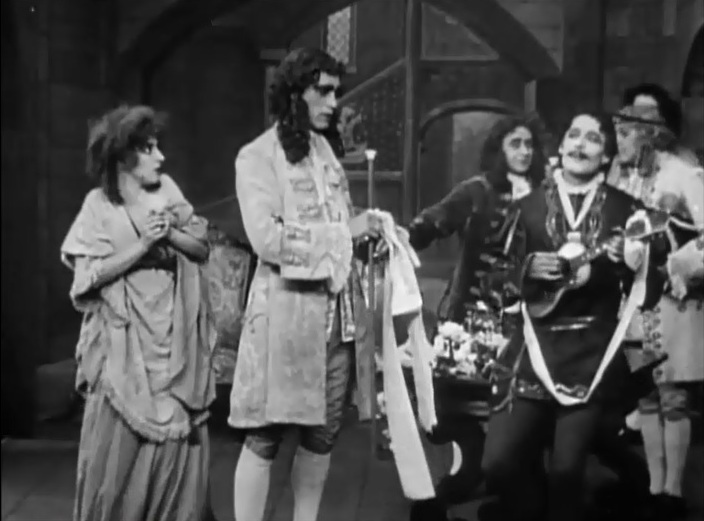 Arthur Johnson sees Marion Leonard and Henry Walthall together in "The Sealed Room" (1909), directed by D. W. Griffith, cinematographer Billy Bitzer. Arthur Johnson quietly deliberates what to do with the two secret lovers in "The Sealed Room" (1909), directed by D. W. Griffith, cinematographer Billy Bitzer. Arthur Johnson quietly ruminates some more over his options in "The Sealed Room" (1909), directed by D. W. Griffith, cinematographer Billy Bitzer. Arthur Johnson finds a solution to his little problem in "The Sealed Room" (1909), directed by D. W. Griffith, cinematographer Billy Bitzer. 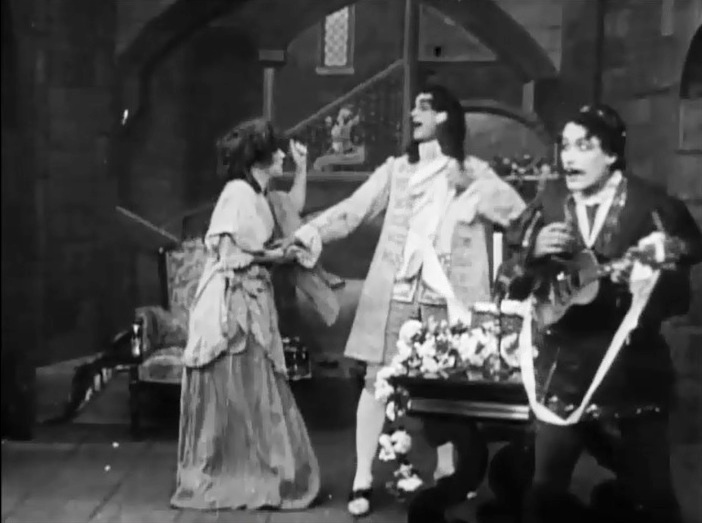 Arthur Johnson has some fun outside the wall with the two secret lovers inside in "The Sealed Room" (1909), directed by D. W. Griffith, cinematographer Billy Bitzer.